Sasha Keable has released her new promotional single online. “Treat Me Like I’m All Yours” – which was written by Keable alongside Boy Matthews, Junior “Jay-Keyz” Kusi and Kassa “PRGRSHN” Alexander – is now available via iTunes, Apple Music, Amazon, Google Play, Tidal and all other digital streaming platforms. 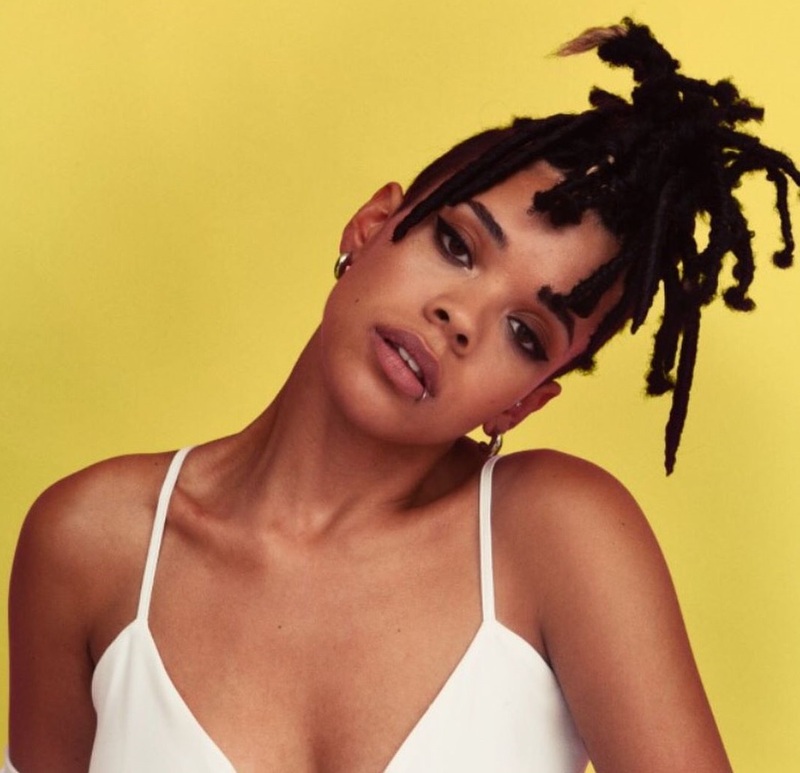 Besides providing guest vocals on Diztortion’s “Put Your Love on Me” and Disclosure’s “Voices,” Keable also co-wrote Fantasia Barrino’s “Wait for You” alongside Vanya Taylor, Scott “Babydaddy” Hoffman and Daniel “Grades” Traynor. Stream the audio clip for “Treat Me Like I’m All Yours” below. 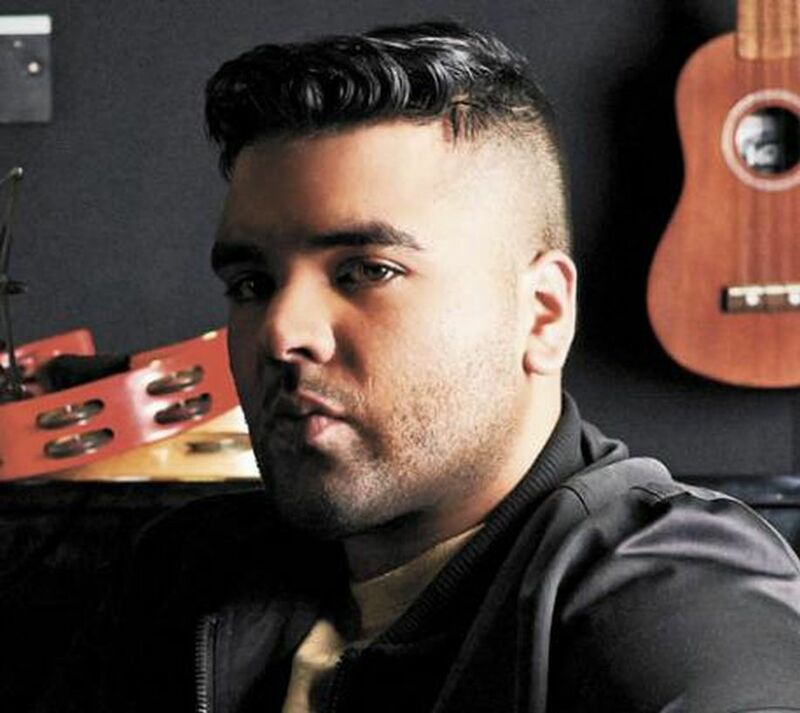 Mae Muller has tapped Naughty Boy for a new collaboration. The British record producer and songwriter (born Shahid Khan) has previously worked with Emeli Sande (“Heaven”), Leona Lewis (“Trouble”), Rihanna (“Half of Me”), Mary J. Blige (“Pick Me Up”), Marlon Roudette (“Anti Hero”), Tanika Bailey (“Runaway”) and Cheryl Cole (“Craziest Things”). Meanwhile, Muller’s current singles “Leave It Out” and “Flaws” – which were helmed by Darren Lewis and Tunde Babalola of UK songwriting and production duo Future Cut – are now available via all digital streaming outlets. Her upcoming project reportedly yields alliances with Two Inch Punch, Jimmy Napes, Caroline Ailin, Ed Thomas, Bastian Langebaek, Jin Jin, Max Wolfgang, Lostboy, Eyelar Mirzazadeh, Joe Rubel, Marlon Roudette, and Invisible Men. Stream the audio clip for “Leave It Out” below. 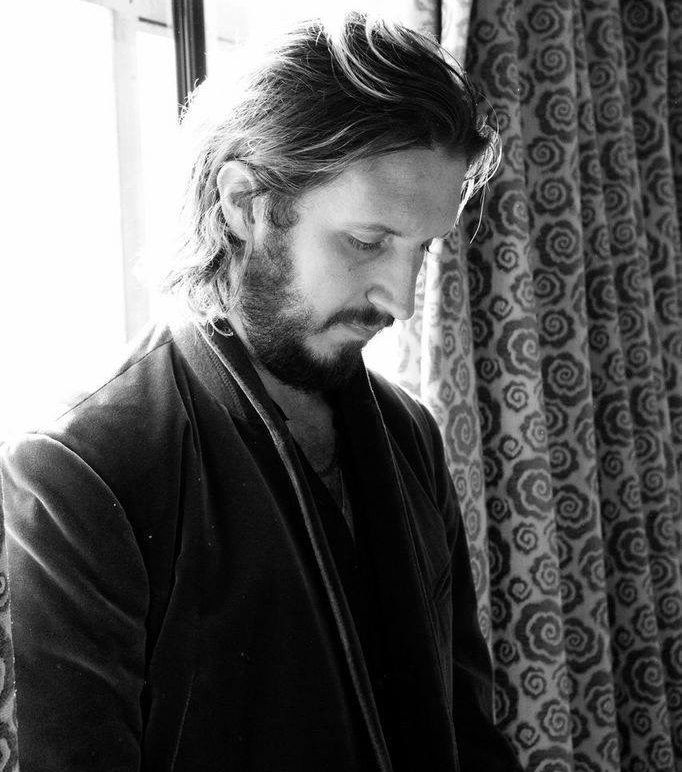 British singer/songwriter Cassia O’Reilly, professionally known as Cosha, has drafted Emile Haynie for a new collaboration. Besides releasing his debut album “We Fall” in 2015 via Interscope Records, Haynie also co-wrote and produced songs for Lana Del Rey (“Summertime Sadness”), Bruno Mars (“Locked Out of Heaven”), Dua Lipa (“New Love”), Camila Cabello (“Consequences”) and Emeli Sande (“My Kind of Love”). Meanwhile, Cosha’s latest collection “R.I.P Bonzai” – featuring contributions from Rostam Batmanglij, Jeff Gitty, Mura Masa, Grades, Francis “Eg” White, and Danny L Harle – is now available via all digital streaming outlets. Her upcoming project – which reportedly delivers additional alliances with Ariel Rechtshaid, Justin Raisen, Stint, Cass Lowe, Fred Ball, Tricky Stewart, and Justin Parker – is expected to arrive later this year via Sony Music UK. American singer/songwriter Joanna Levesque, known mononymously as Jojo, has teamed up with Max Wolfgang and Stint for a new collaboration. Among the artists Max Wolfgang has previously penned songs for are Kygo (“Never Let You Go”), Zayn Malik (“Back to Life”), Paloma Faith (“Loyal”), Kylie Minogue (“Your Body”), Chelcee Grimes (“Just Like That”), Jackson Penn (“Streetlights on Mars”) and Rudimental (“Lay It All On Me”). 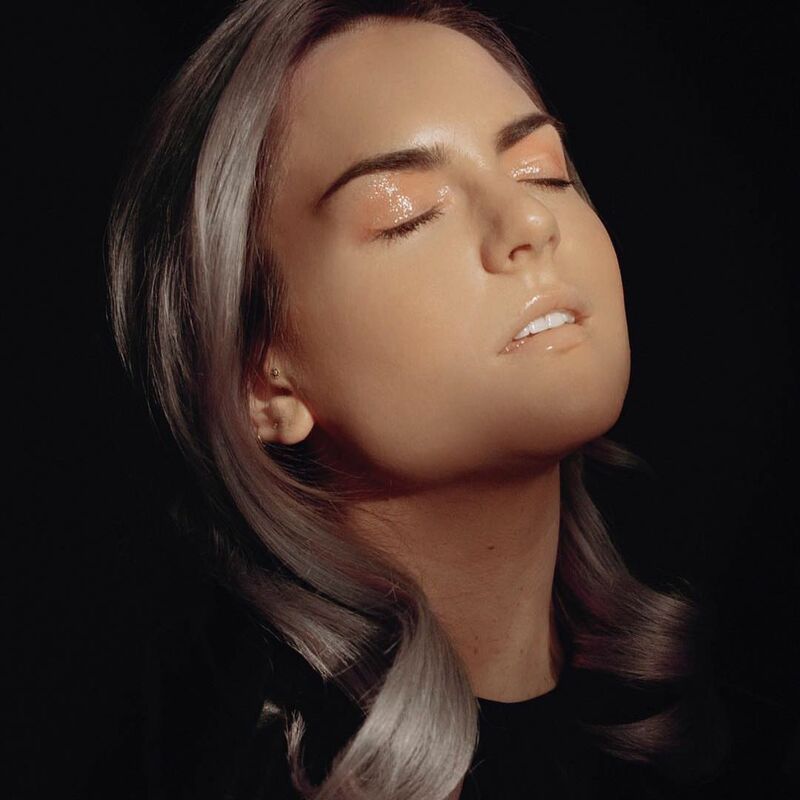 As mentioned in earlier posts, Jojo is expected to release her fourth studio collection and follow-up to 2016’s “Mad Love” later this year via her own imprint Clover Music in partnership with Interscope Records. The still-untitled project reportedly yields further contributions from Jermaine Dupri, Natt Dunn, Bryan Michael Cox, Diana Gordon, Billy Steinberg, Caroline Ailin, D’Mile, Chloe Angelides, Iain James, Steph Jones, Chris Loco, Kennedi, Digital Farm Animals, Skyler Stonestreet, Big Taste, and Myah Marie. Stream the audio clip for “Too Little, Too Late” below. Dominicana​ American​ singer/songwriter Dana Danelys De Los Santos, professionally known as Amara La Negra, has released her debut EP online. “Unstoppable” is now available via iTunes, Apple Music, Amazon, Google Play, Tidal and all other digital streaming platforms. Other musicians backing La Negra on “Unstoppable” are DJ Buddha (Pitbull, Jason Derulo), Angela Hunte (Tamar Braxton, Britney Spears), A.C. (Ciara, Nicki Minaj), Nova Wav (Tinashe, Kelly Rowland), Peter Wade Keusch (Melanie Fiona, Jennifer Lopez) and Andrea Martin (Fantasia, Jennifer Hudson). Keri Hilson has explained the reasons for her absence from the music industry. “My truth us, I’d love nothing more than to release this incredible music I’ve been “sitting on,” and I’ve been trying for years for that to occur. There have been so many blockages I have constantly fought myself to not directly speak about. I’ve lost some pivotal characters in the process of stepping away for my well-being. But I accept the fact that some relationships have just run their course. Other figures of my past are greedy, unreasonable & refuse to honor my growth. 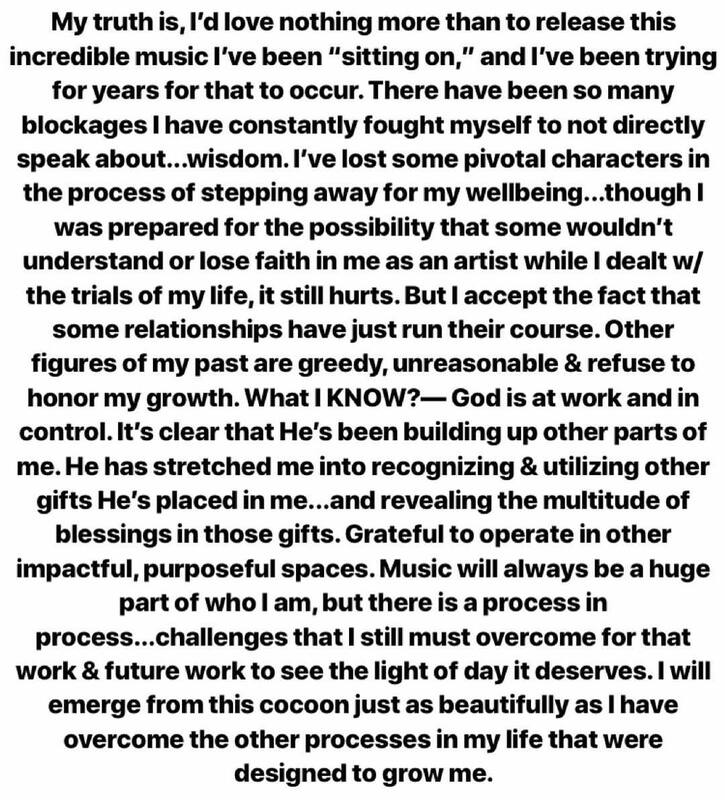 Music will always be a huge part of who I am, but there is a process in process … challenges that I still must overcome for that work to see the light of day it deserves. I will emerge from this cocoon just as beautifully as I have overcome other processes in my life that were designed to grow me,” the American singer/songwriter posted to Instagram. Hilson’s last studio collection, “No Boys Allowed,” was released in 2010 via Mosley Music / Zone 4 / Interscope Records. The project debuted at number eleven on the US Billboard 200 Albums Chart and spawned contributions from Stargate (“Lose Control”), John Legend (“All the Boys”), Ne-Yo (“Pretty Girl Rock”), Kevin McCall (“One Night Stand”) and R. City (“Bahm Bahm”). As a songwriter, Hilson has penned songs for Britney Spears (“Gimme More”), Ciara (“Ooh Baby”), Mary J. Blige (“Take Me As I Am”), Toni Braxton (“Supposed to Be”), Usher (“Red Light”), Omarion (“Ice Box”), LeToya Luckett (“What Love Can Do”), Chris Brown (“Young Love”), Jennifer Lopez (“Wrong When You’re Gone”) and 3LW (“Things You Never Hear a Girl Say”). Watch the music video for “Lost Control” below. 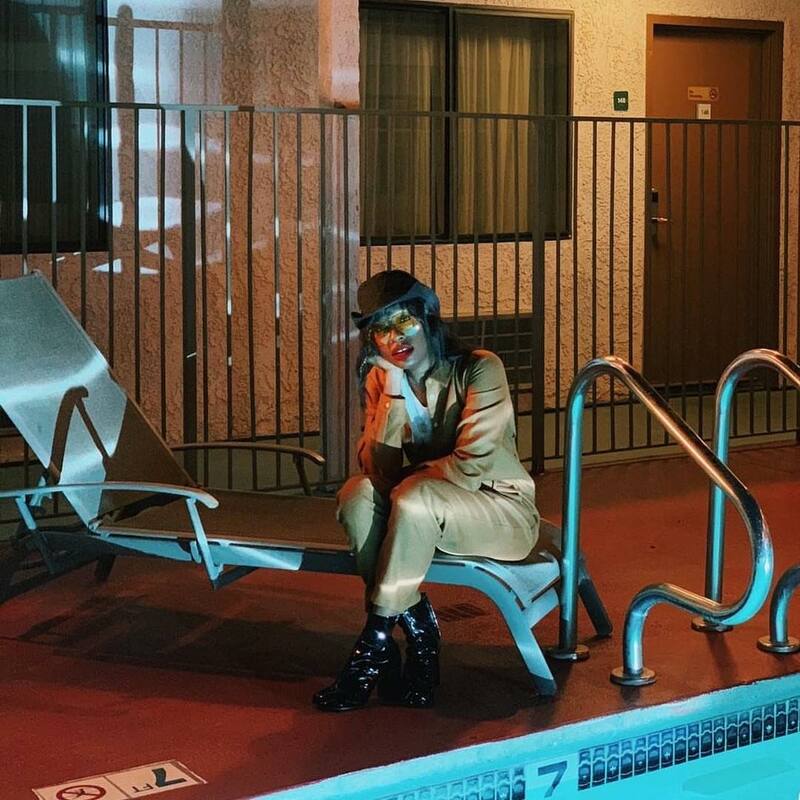 Kari Faux has delivered the music video for her new single online. The Dylan McGale-directed/Sho Shrock-produced visual clip for “Leave Me Alone” was posted to the American singer/songwriter’s YouTube channel on Friday (February 22, 2019). 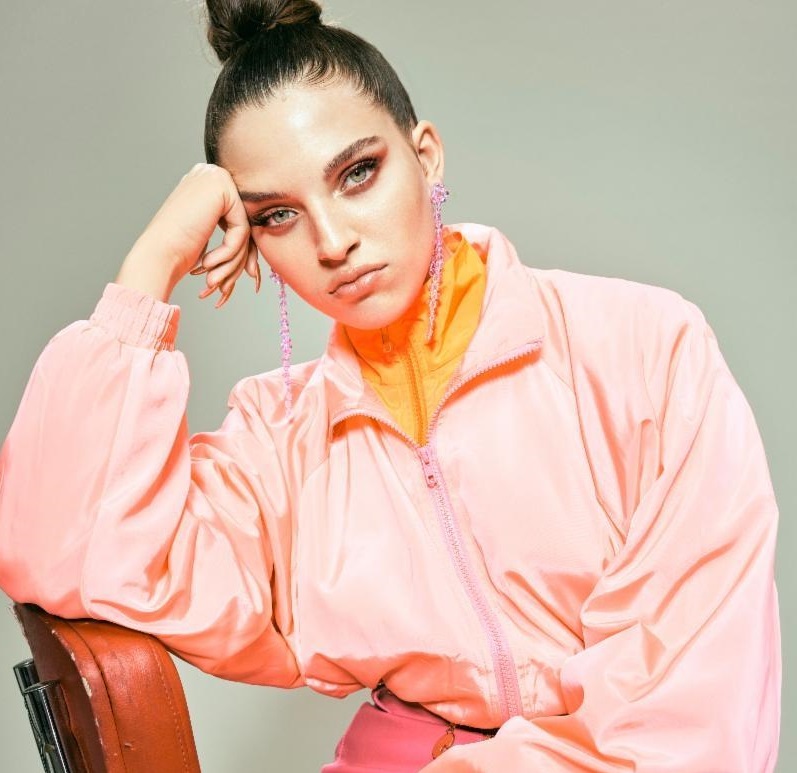 Production duties on “Leave Me Alone” were handled by Josh Crocker, whose resume boasts additional works with Kali Uchis (“Feel Like a Fool”),Celeste Waite (“Both Sides of the Moon”), Cosima Ehni (“Had to Feel Something”) and Mabel McVey (“My Boy My Town”). As mentioned in earlier posts, Faux’s upcoming project “Cry 4 Help” – which serves as the follow-up to 2017’s “Primary” and 2016’s “Lost En Los Angeles” – is scheduled to arrive on March 8 via 9 My Shits Legit/These Are Pulse Songs (BMI). Watch the music video for “Leave Me Alone” below.